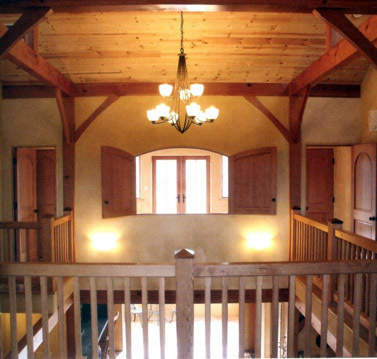 CASBA conducted it's first official Straw Home Tour in May 2013, showcasing 7 homes in one day! During the Sierra Straw Home Tour straw home owners in Western Nevada County opened their doors for us to see and experience their creative and efficient homes built using this sustainable, natural material. Proceeds supported the important work and testing needed to include straw building in the International Building Code. CASBA would love to sponsor additional Tours. If you are interested in organizing one your your area please contact us. has evolved into its own character and personality. 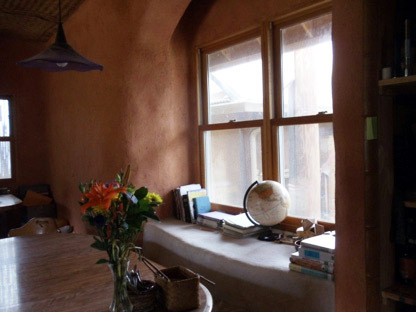 is constructed of natural materials which are healthier to our planet and to the people these homes shelter. will embody less carbon over its life with efficient heating and cooling. is a statement of the respect the creators and inhabitants have of our Mother Earth. # 1 Creek View Cottage is a charming home that grew from using many reclaimed materials in artistic ways to create an Earth friendly dwelling that is cozy and delightful. 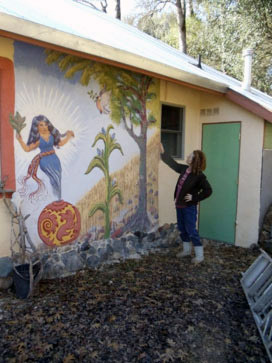 A beautiful fresco adorns an exterior wall. #2 A Girls Place has thoughtful design of home and site that produces a comfortable Western style home. Light flows through open areas that invites you to follow through creative spaces and relish the beauty. #3 Wild Grace is not built of bales but straw mixed with clay (Straw Clay) filling in a timberframe structure. 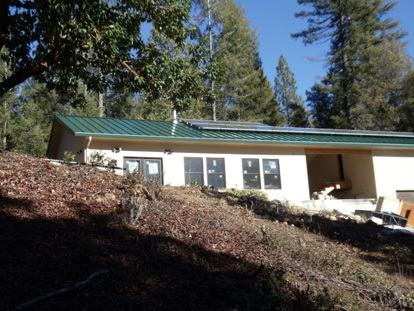 It is a glorious combination of wood, straw and earth on an incredible site overlooking our Yuba River. #4 Rockin Acres is home to an Earth-respectful family who lives off the grid in a lovely rural setting where they live with the land...not on it. Their home and life style reflects their love and respect of the natural world. #5 Fogles Nest is developing into a handsome country home. It is still under construction so the straw bale heart is open for us to see. 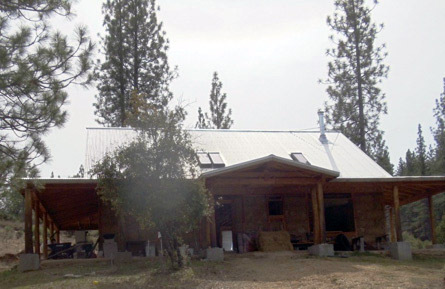 #6 Tumbling Creek is a working farm that primarily produces mushrooms for our local markets so this efficient home is well suited to a busy couple. There is a preheating water system built as part of the home. 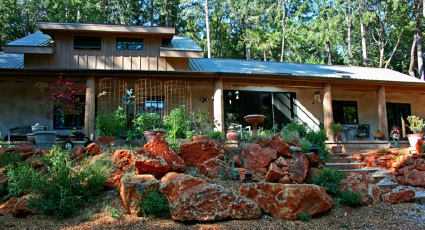 #7 Red Dirt Lodge is evolving as a designer's elegant dream home. It is a delight to enter through the front door and step into the splendid space of this tasteful home.